I’ll be honest, I was a bit apprehensive to begin reading the book Fragments by Tracy Bull. Mostly because I knew it was a drastically different from my typical reading genre, 95% non-fiction. And, I knew it would be an intimate journey through a heavy topic – depression. Despite this, I was intrigued; within minutes I was quickly swept away with tender poems and vivid dreams that placed me in raw moments with the main character Jess. Tracy’s easy to read prose allowed me to slip down the rabbit hole and experience another’s world. 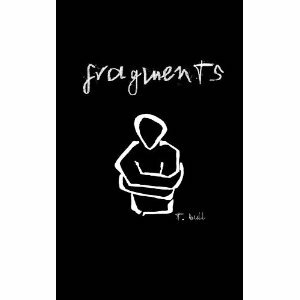 Fragments is revealing and filled with hurt, but also joys, and endearing memories. What struck me most was the obvious of the everyday, Jess was strongly framed by the pinnacle highs and humiliating lows, like we all are, but the sadness saturated the daily routine. Never having experienced depression, this book brought to my forefront the importance of being sensitive and encouraging to others who have; to the strangers you might have the urge to be impatient with or the friends who can unintentionally hurt you as they battle demons only known to them. I think this is a good read to see the world from another’s perspective, to shed light into the world of depression. I think one of the most poignant lines in the book is “A really smart person is more likely to keep depression hidden from those around them for a longer period of time. They can put up a very convincing façade, carefully constructing a sound excuse or lie anytime.” Every single one of us struggles with something, at times it seems easier to hide the challenge - it is important acknowledge it and seek help. May is Mental Health Month, take time to step outside of your comfort zone, get educated, ask for support and provide encouragement. Thank you Tracy for creating and sharing Fragments!